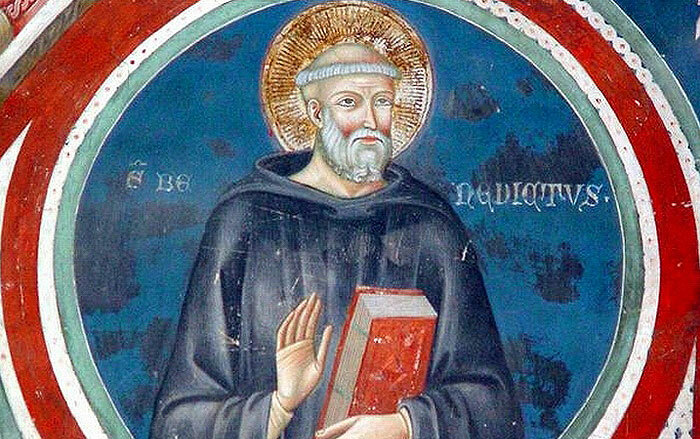 Saint Benedict born in 480, in Umbria, Italy is regarded as the “Father of Western Monasticism” and is “Co-patron of Europe” along with Saints Cyril and Methodius. St. Benedict wrote a “Rule for Monks,” based on his experience of living the monastic life for many years. Today, the Rule of Saint Benedict, continues to be a guide for Benedictine monks, nuns and oblates throughout the world. The monastery is a place where our hearts are gradually being transformed into the likeness of God. In the prologue of the rule St. Benedict tells us to “Open the ears of our hearts to listen to the voice of the Lord." He reminds his monks that “nothing is to be preferred to the Love of Christ.” These words of our Holy Father Benedict continue to inspire those of us called to live the monastic life in the 21st century. 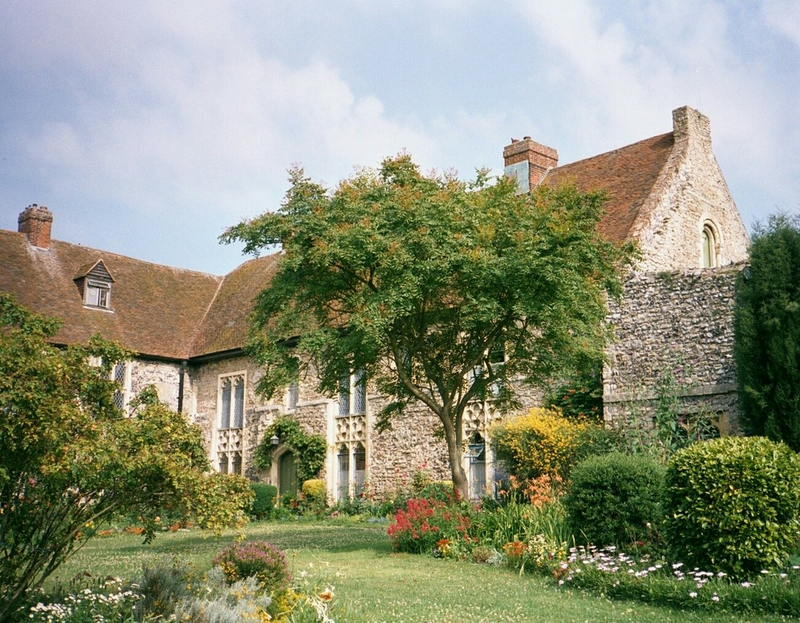 We are uniquely privileged at Minster because we have inherited an Abbey, founded in 670 which have three extraordinary Anglo Saxon Saints as our Foundresses. Our present community was founded in 1937 from Eichstatt in Bavaria. We are blessed to live day by day in this atmosphere which is profoundly imbued by the spirit of our founding sisters. Life today at Minster, as in the early days is deeply rooted in prayer. Interior prayer and liturgical prayer lie at the heart of the contemplative life. It is through the celebration of the liturgy, reflection on the scriptures (lectio divina) and silent adoration that we are called to grow into a deep intimacy with Jesus Christ who is the centre of our lives. St. Benedict speaks of the importance of manual work. He says “Let all serve one another in Love”. Work is a means of glorifying God as well as a way of earning our living. In our work together we strive to live in harmony with all God’s creation. Our work in the monastic gardens, orchards, kitchens, or in the Guest House, expresses respect and responsibility for the earth entrusted to our care. Art and creative work also has a place in our lives. Our service of one another is a key element in our life as a monastic community. Monastic hospitality has long been recognized as a need in the Church. We welcome those who are searching for God and also those who do not share our faith. We try to remain open to those who come for help, guidance and friendship, and these contacts enrich our lives.